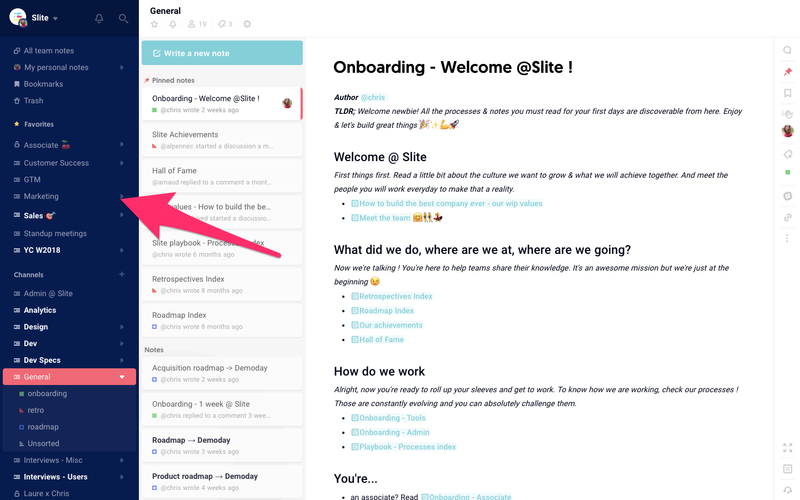 Slite is used daily by all team members to write down all their content. This means their knowledge is not stored away in a knowledge base but rather something they interact with daily. Slite is not a place for just guidelines and how to's. It's your modern version of what knowledge should be in teams: any content produced that generates value for your team. Meeting notes, product specs, onboarding material, roadmaps, all qualify. It's much easier to access knowledge and share it in Slite. 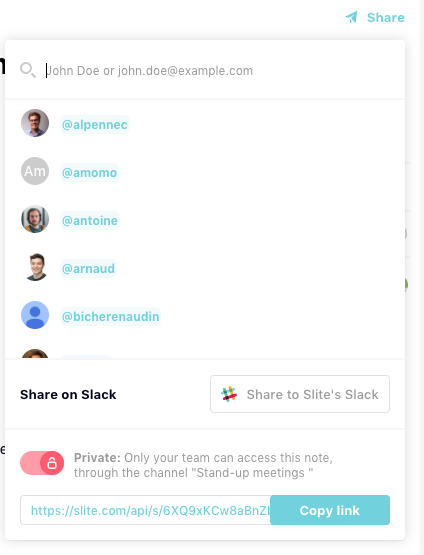 You can share it to Slack or send a link to your team members. Channels give you a dynamic overview of what your team's been editing and doing in Slite. Slite is extremely user friendly because of how easy it is to adopt. It is also team friendly thanks to collaborative features: real time editor, comments, pings, claps and more.